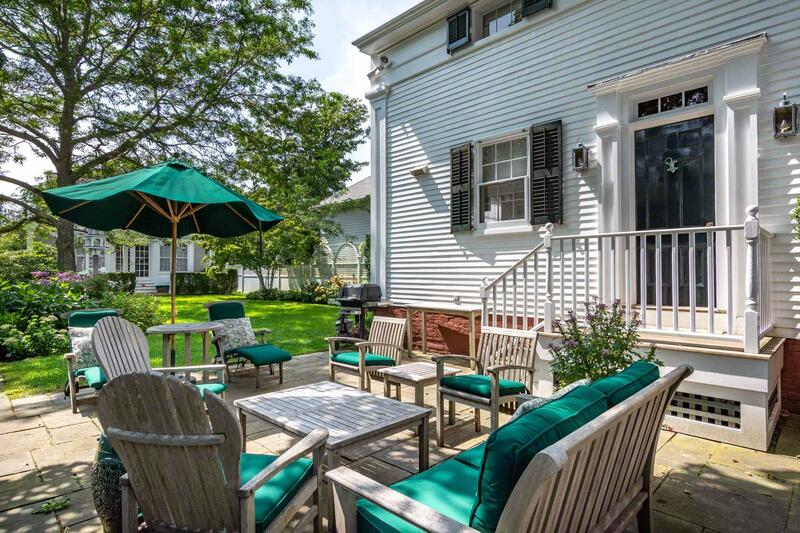 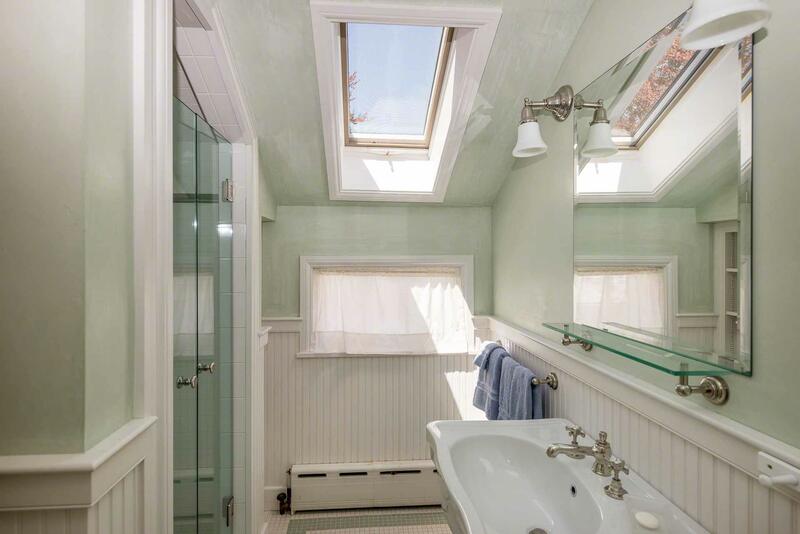 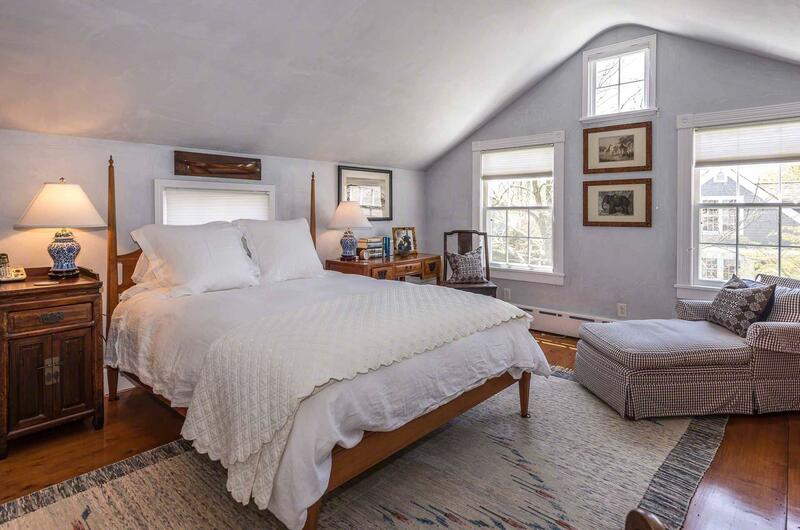 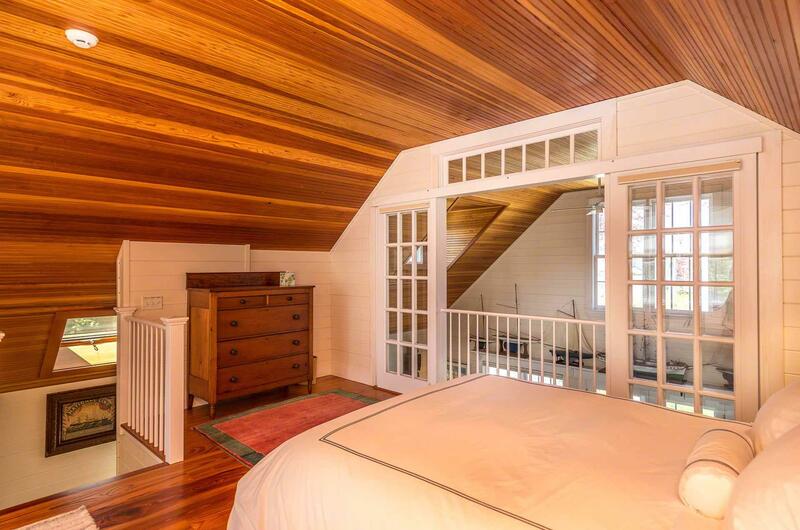 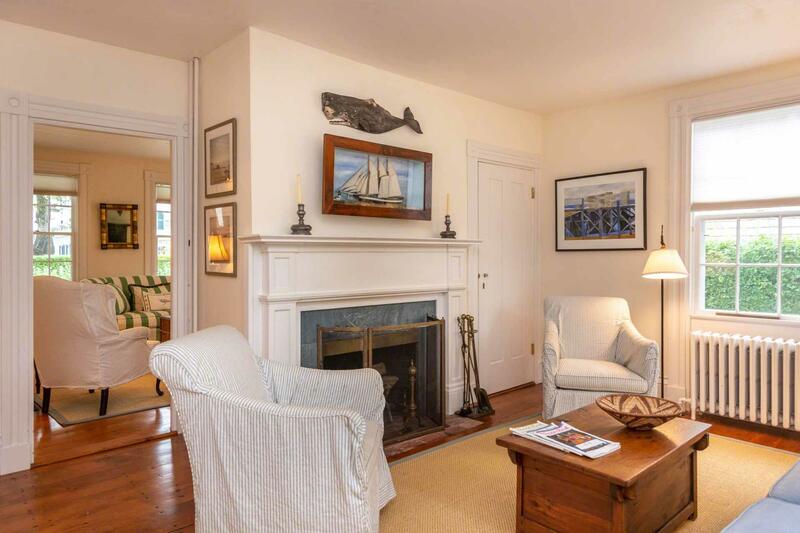 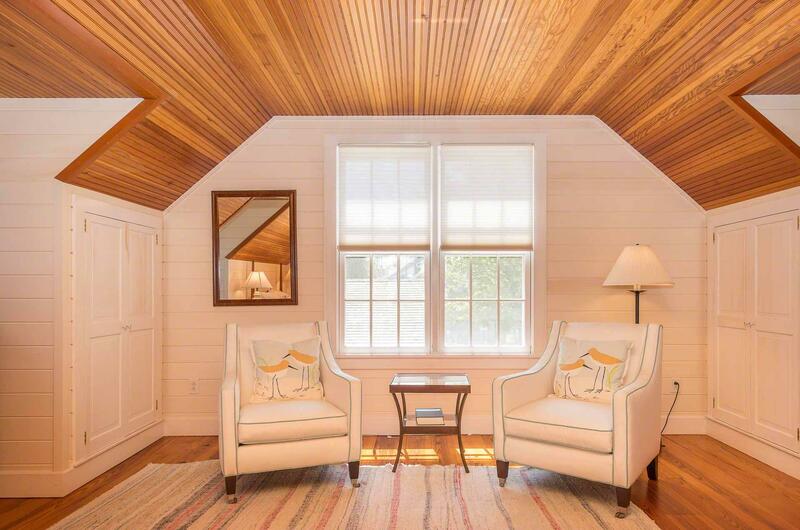 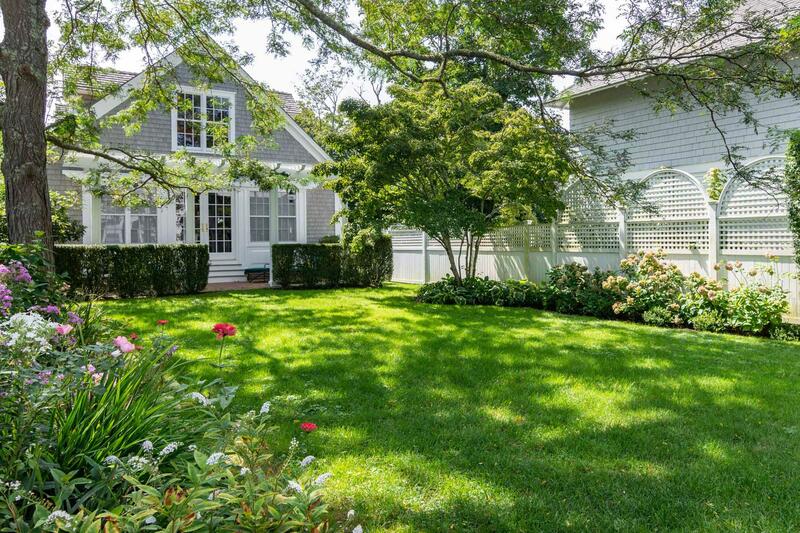 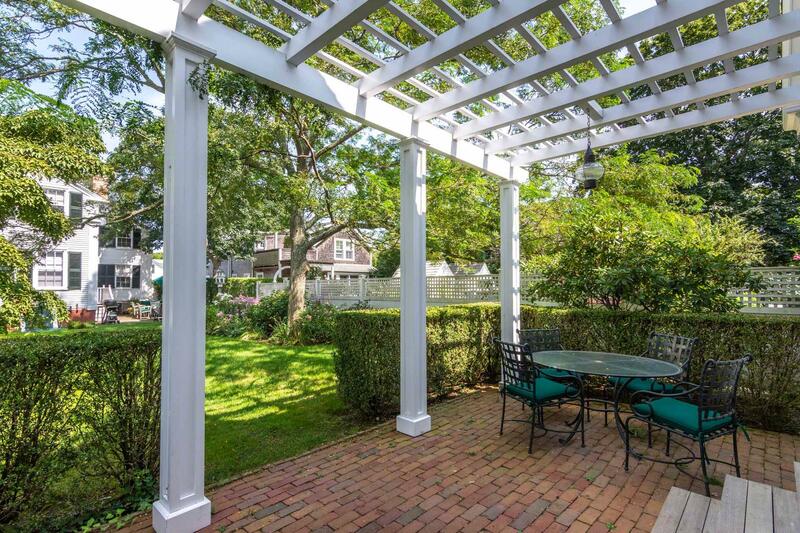 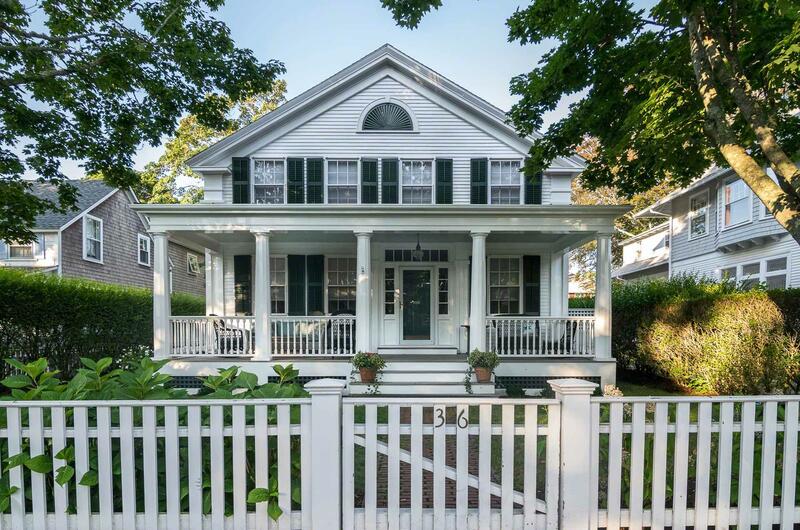 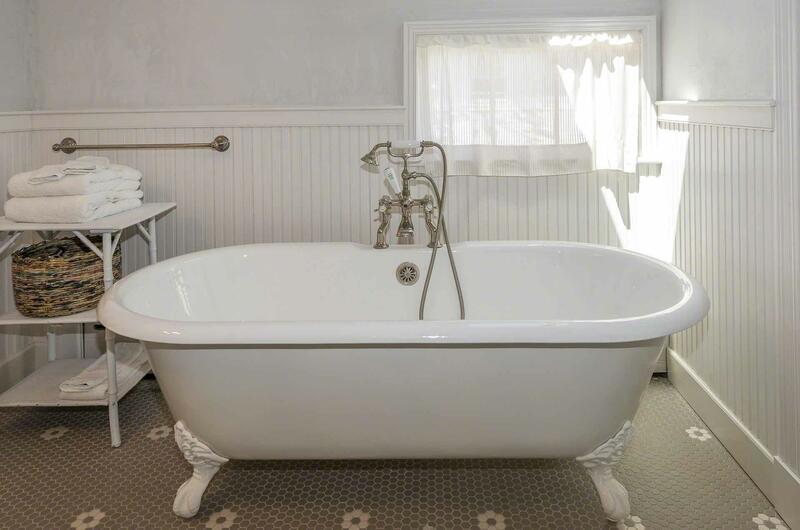 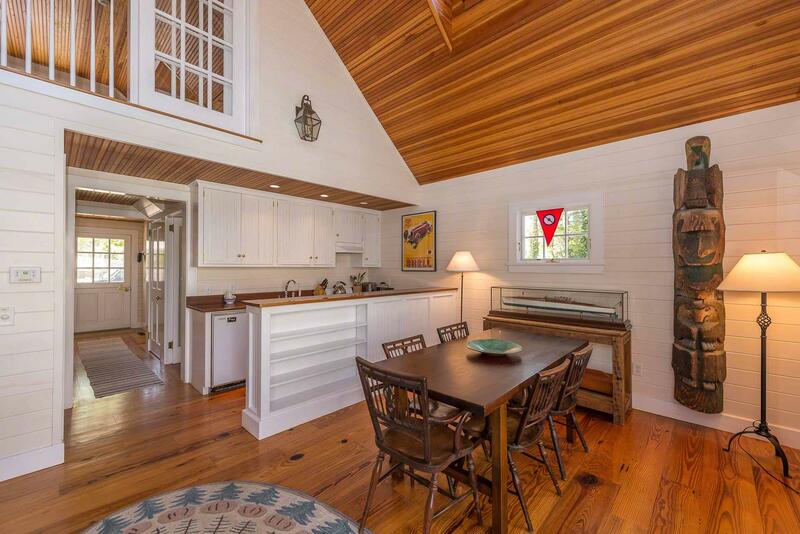 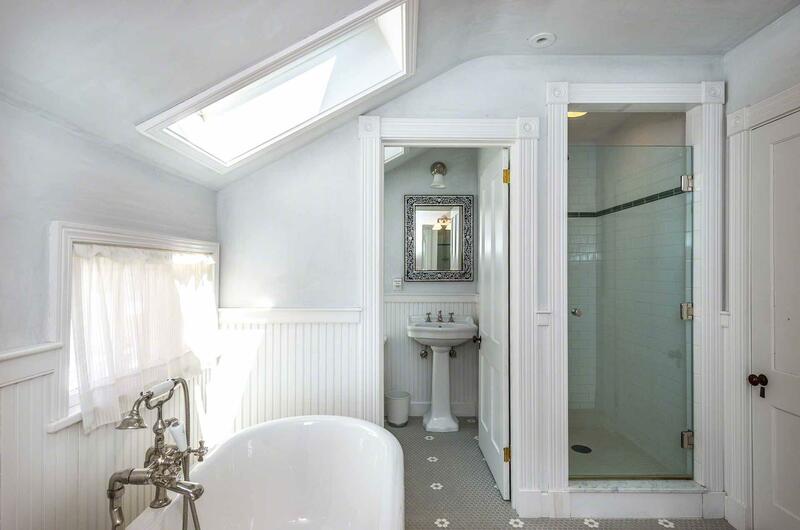 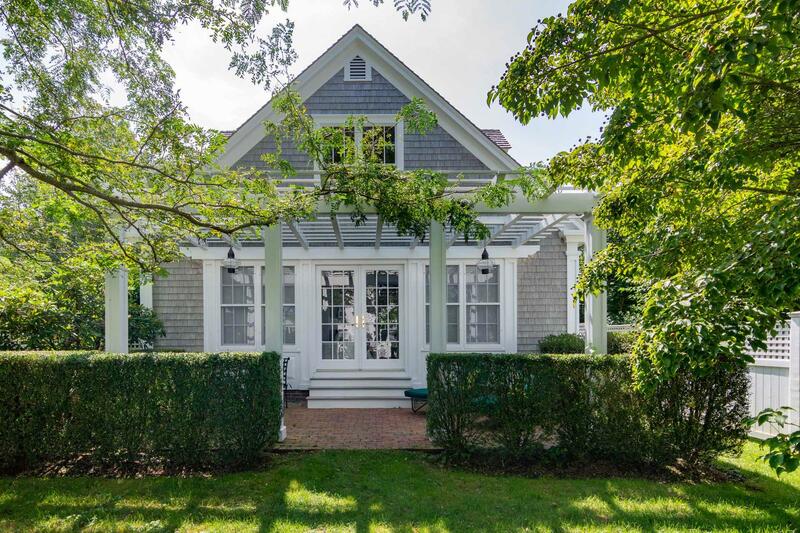 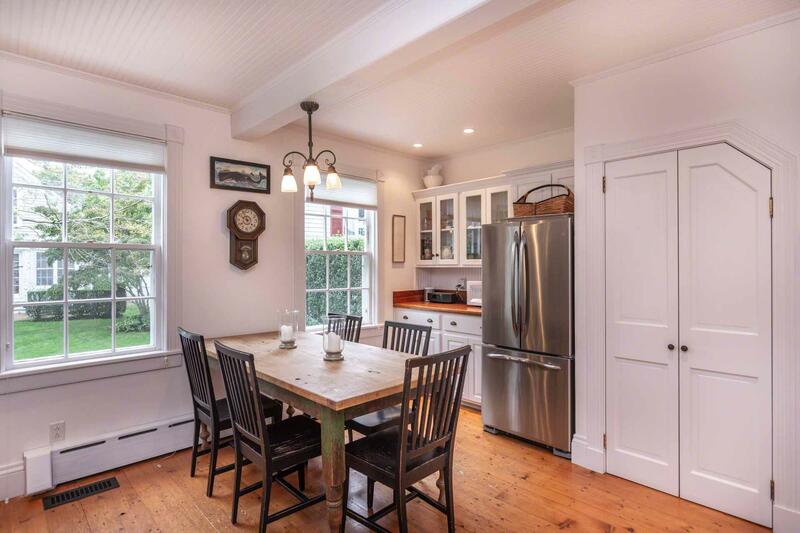 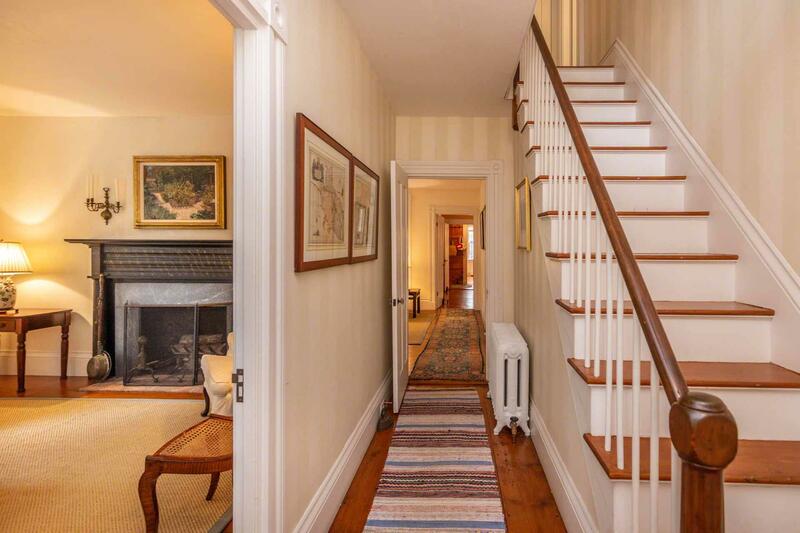 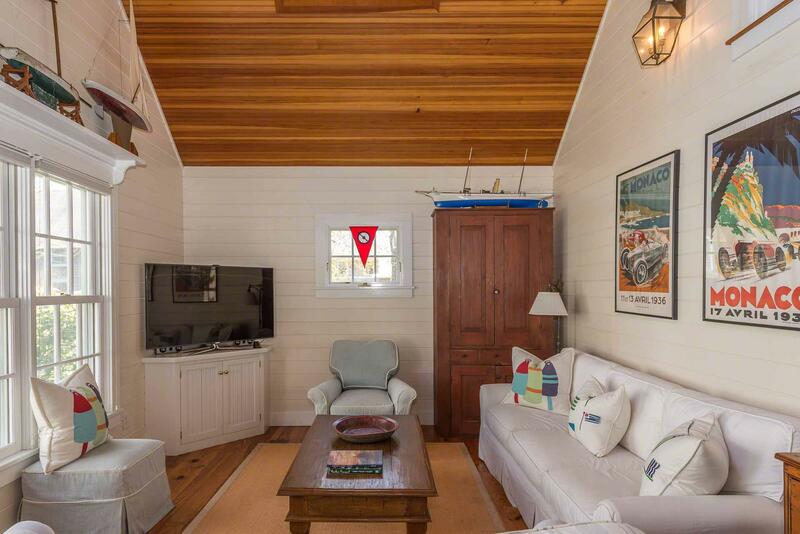 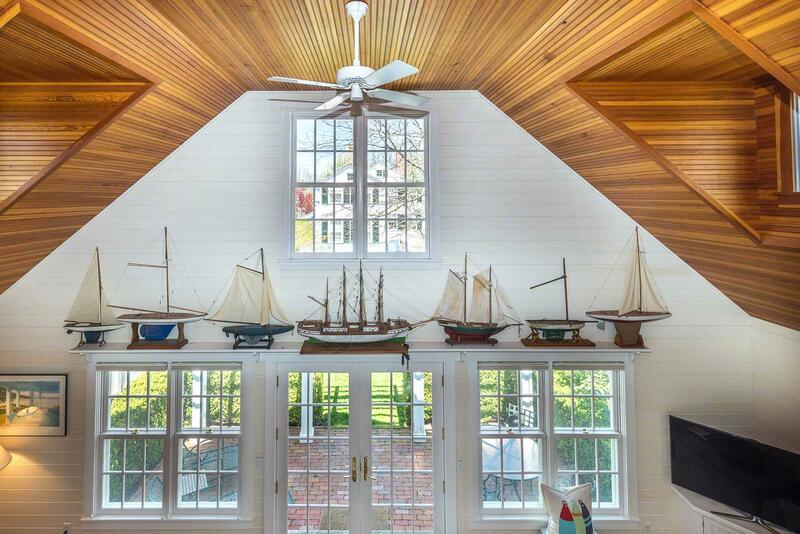 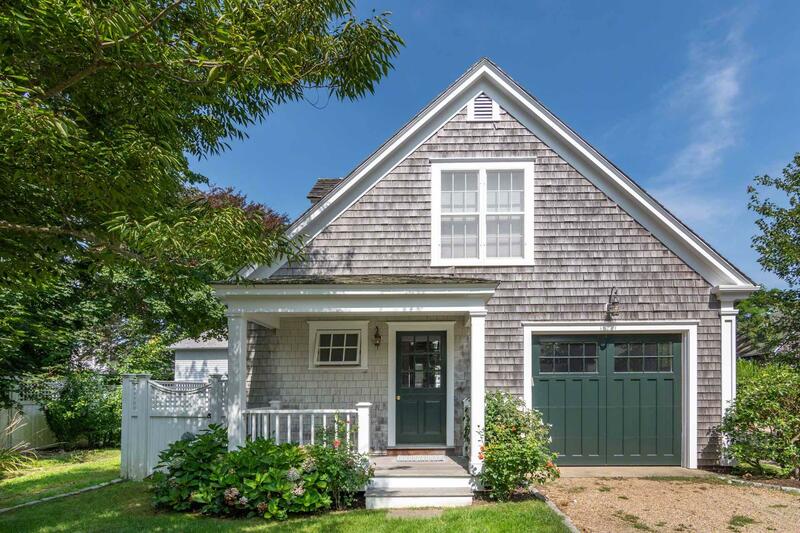 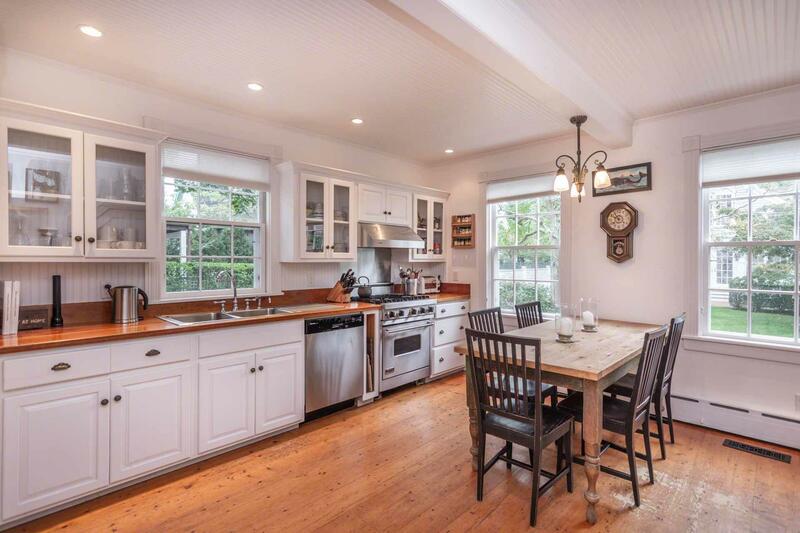 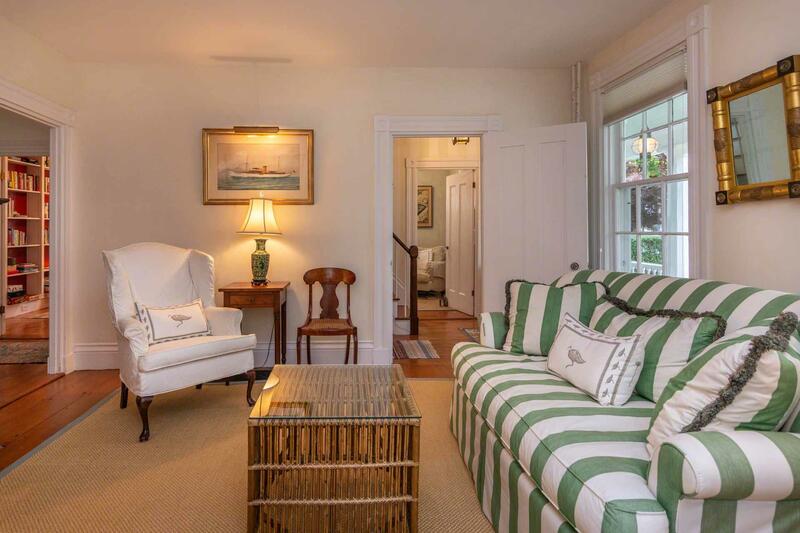 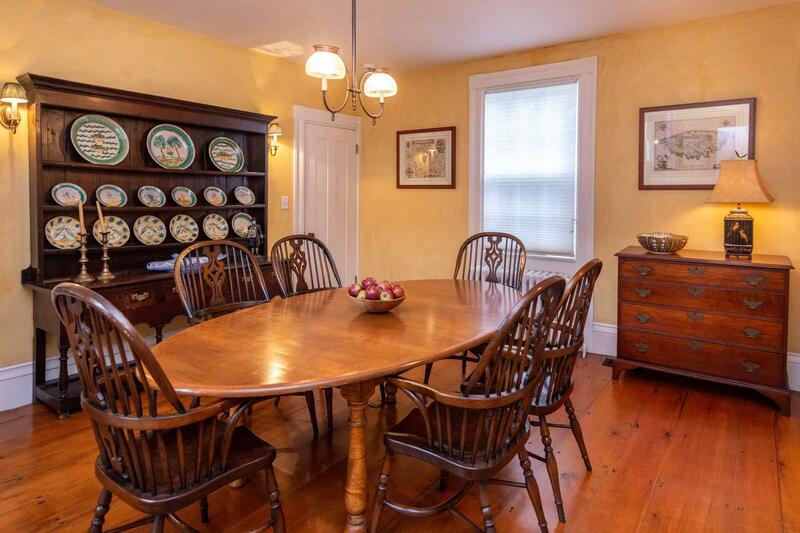 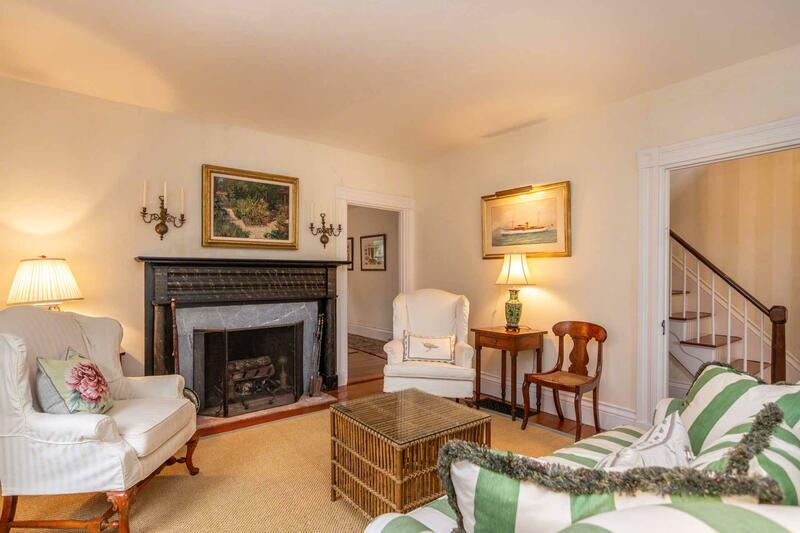 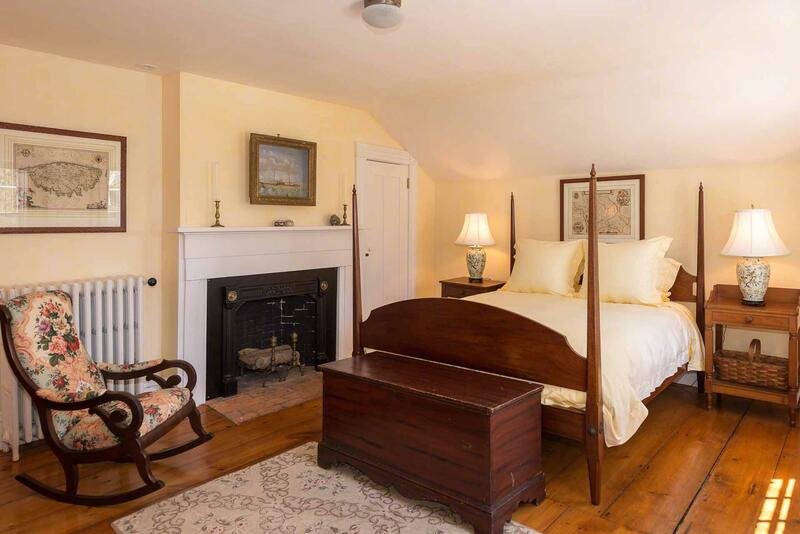 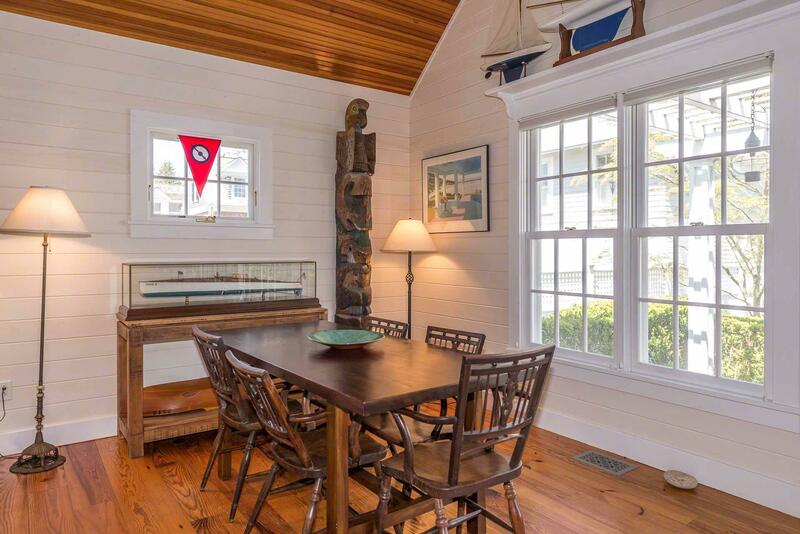 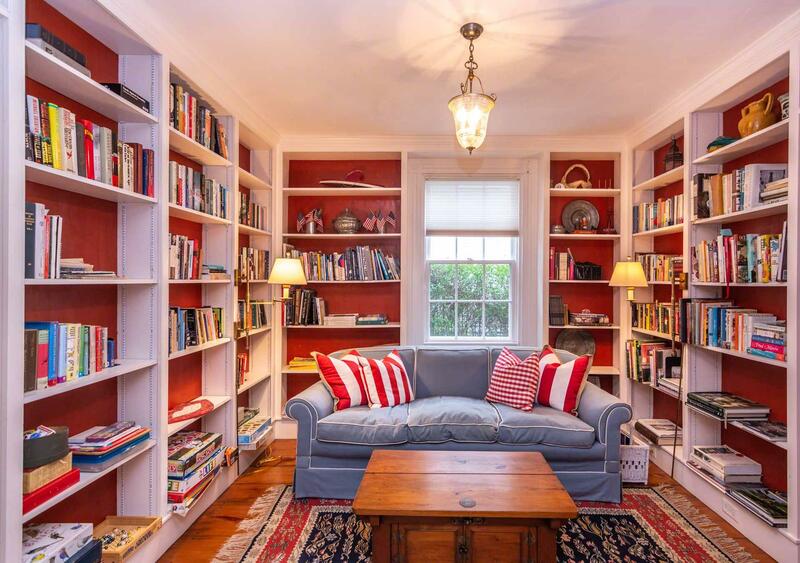 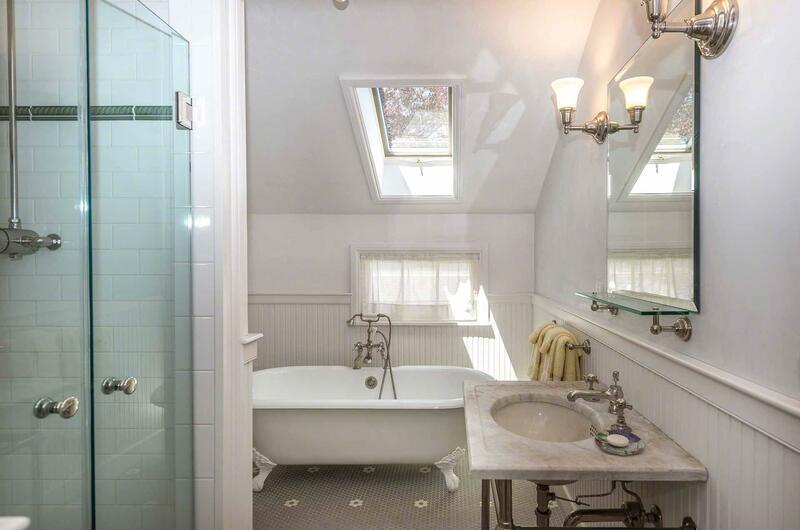 DISTINGUISHED ANTIQUE Greek Revival Home located in an Historic Edgartown Neighborhood. 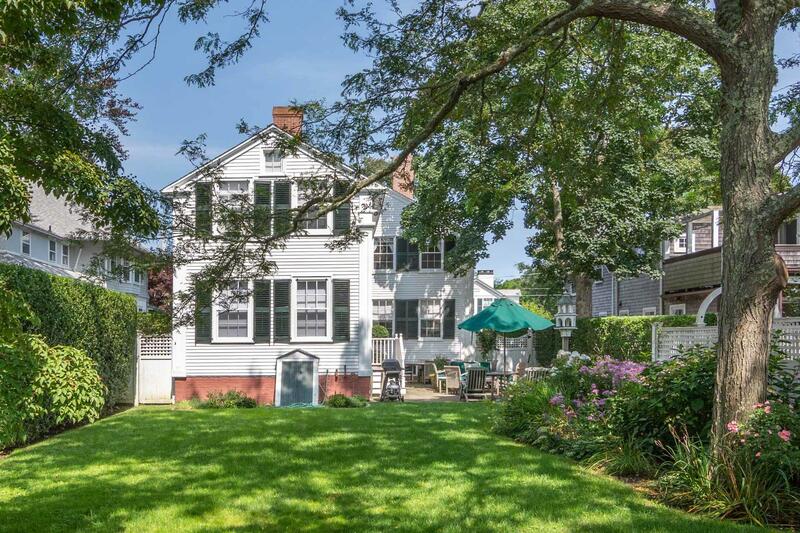 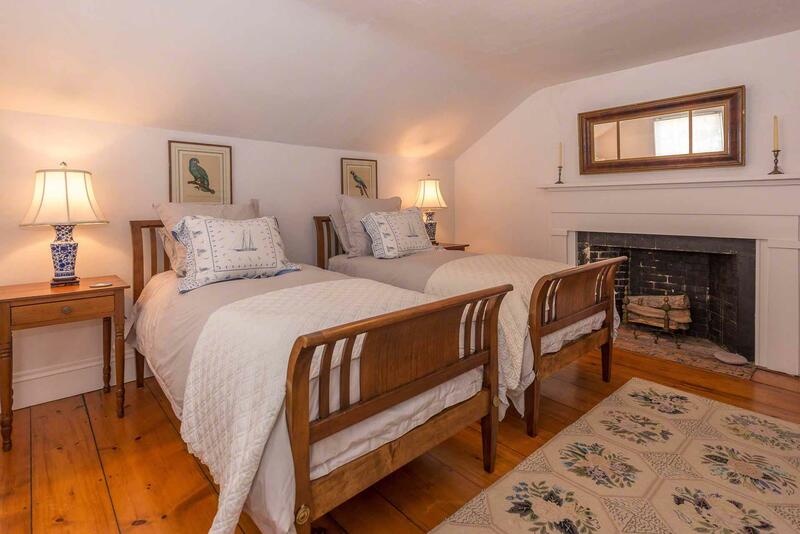 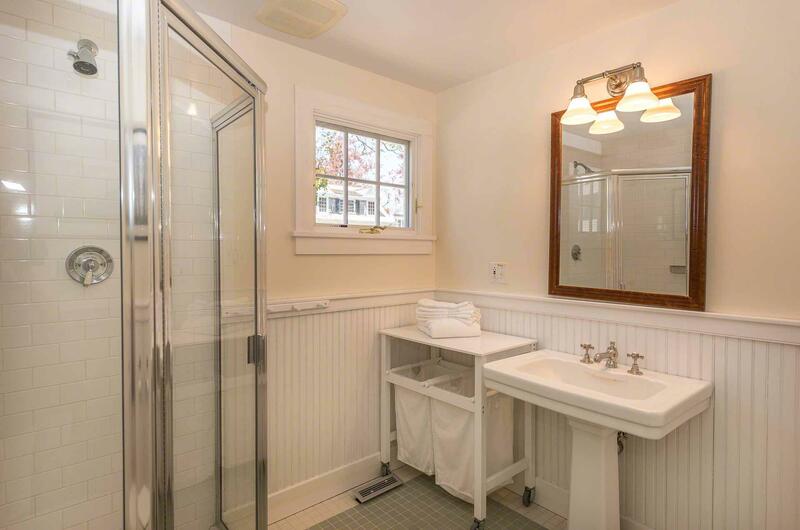 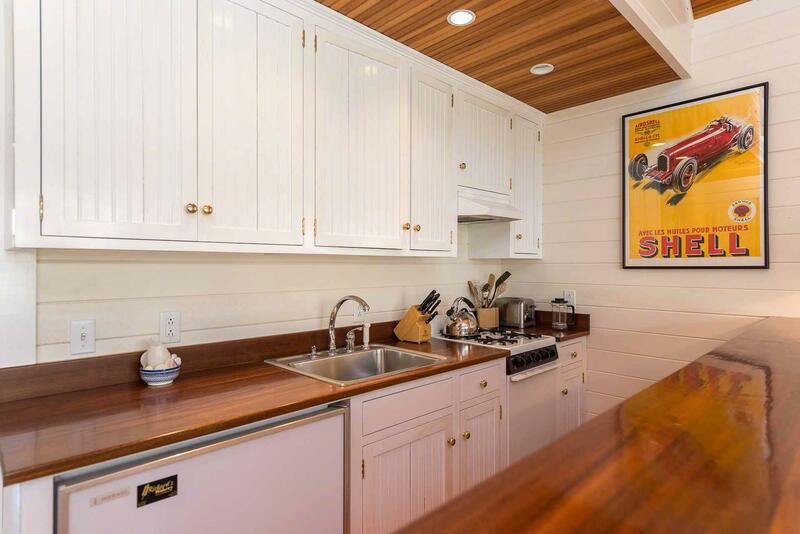 This circa 1850's Captain's House style home has been tastefully updated while maintaining its authentic historic charm. 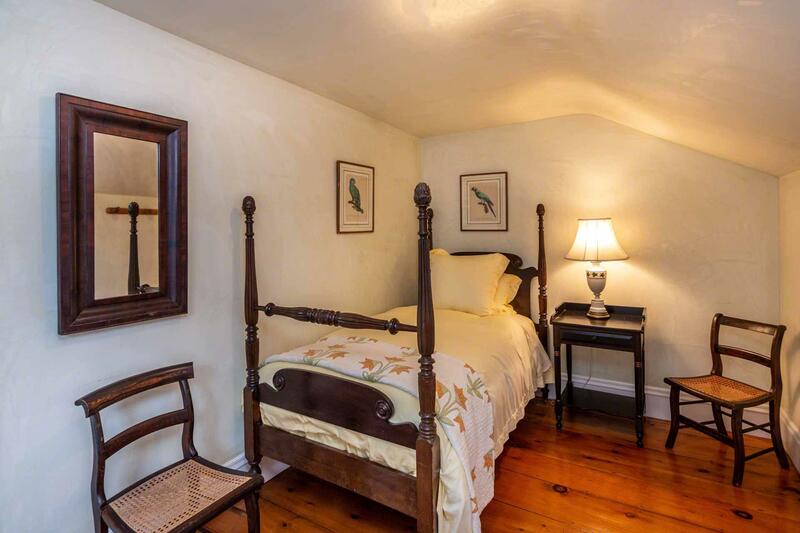 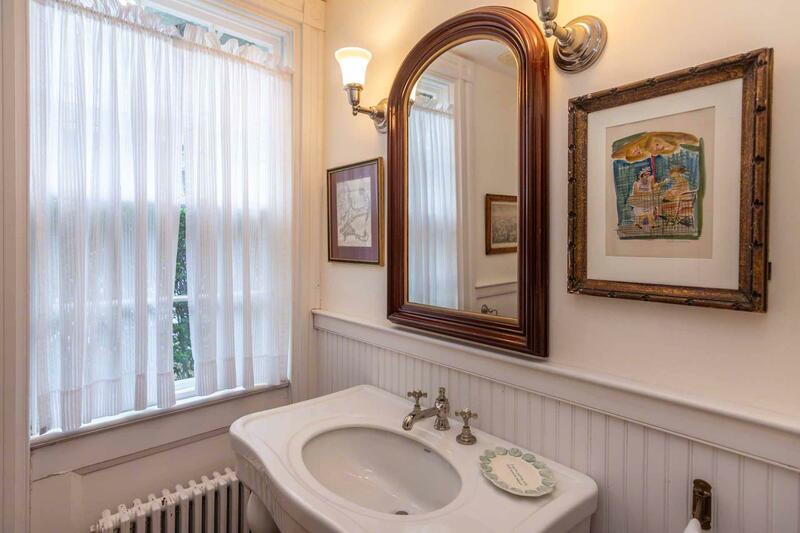 Period details include, antique wide planked floors, four original fireplaces, period millwork and built-ins, all of which are in exceptional condition. 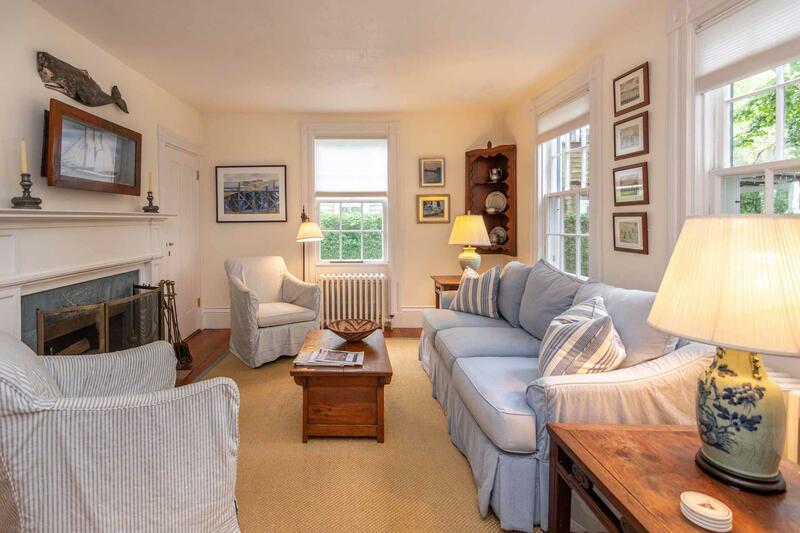 This classic village home blends formal and casual living areas within two floors of multiple living spaces. 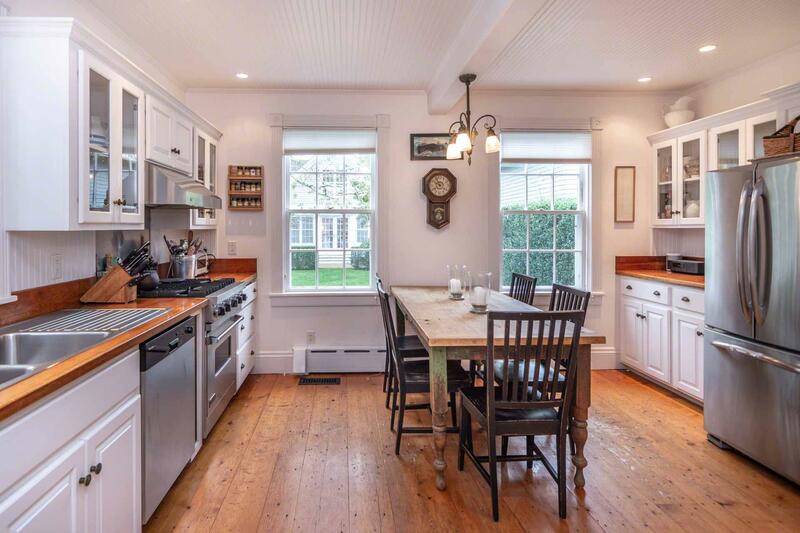 The inviting eat-in kitchen features high ceilings, updated appliances, refinished wide plank floors and easy access to from the kitchen onto a bluestone terrace and expansive private yard, which is perfect for outdoor dining and entertaining. 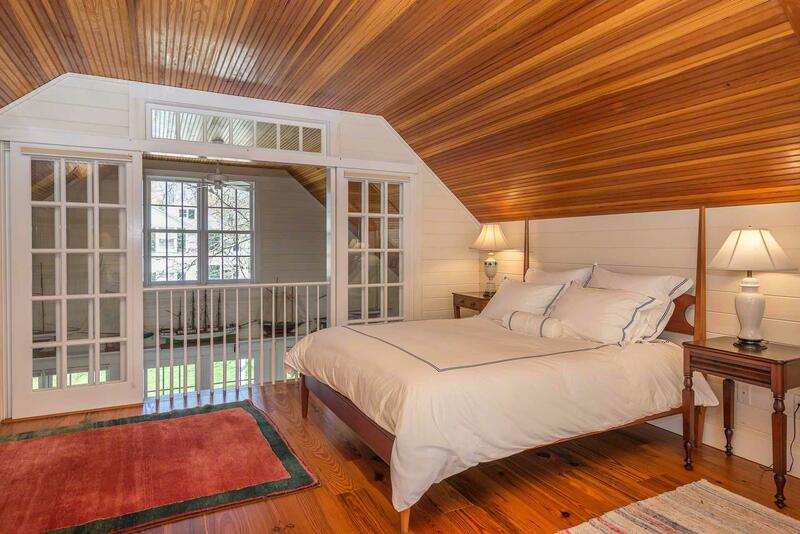 The contemporary Guest Cottage is located at the opposite end of the backyard.